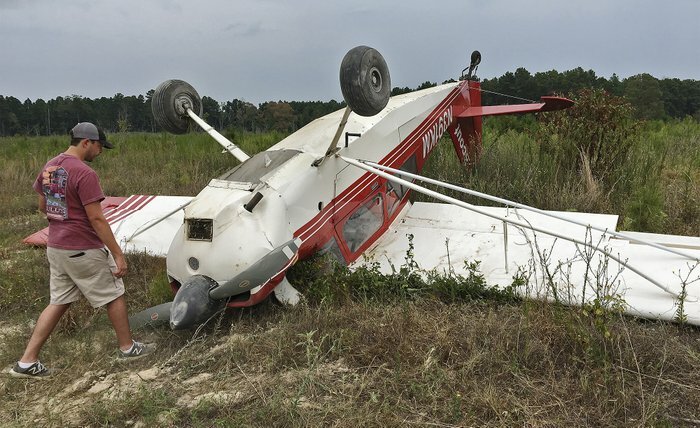 Two men received minor injuries Friday when the single-engine plane they were in crashed near Three Creeks in Union County. Roberts said the two men, both from Cleveland, Mississippi, and working with Blue Airlines, suffered minor injuries. 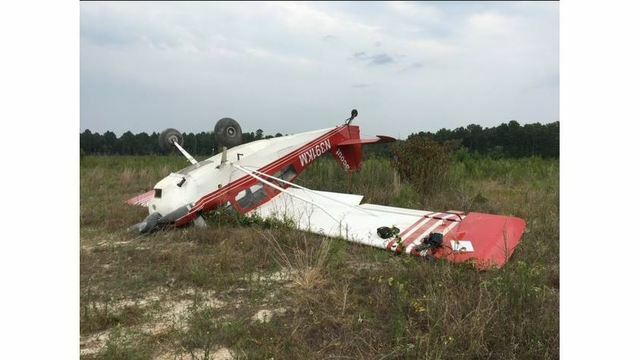 JUNCTION CITY, Arkansas -- Authorities in Union County, Arkansas, say no one was hurt when a small plane crashed there this afternoon. The crash happened just after 1 p.m. today near Near Union County Road 203 and Salem Rd west of El Dorado, Arkansas. Law enforcement and fire department officials found the plane, owned by Blue Airways of Mississippi, upside down. The pilot told authorities he thought the plane had enough fuel for a 3 and 1/2 hour flight, but it didn't. He said the plane hit an embankment while he was trying to land and ended up in a clear-cut field. UNION COUNTY, Ark. 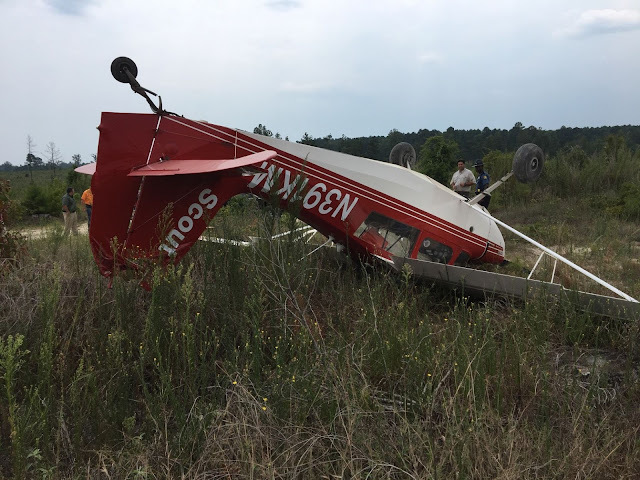 (KTHV) - About 1:10 p.m, a plane from Blues Air out of Cleveland, Mississippi had to make an emergency landing on a dirt road in a clearing in Union County. It was just off of Highway 15 near the Louisiana State Line. According to Union County Sheriff's Department Chief Deputy Charlie Phillips, the airline had been contracted to inspect pipe lines for leaks. Phillips said the plane forgot to fill up with gas before take off. Upon landing, the plane flipped, causing slight damage to the craft. The two individuals on board suffered bumps and scrapes. Seems to me they should have been inspecting the fuel gauges.